-- Ian McEwan is known to skirt the edge with his writing; the fringes of society, to test the limits of what we can handle perhaps in our worlds as we bring his writing home with us and allow a whole new being to enter. So it is with The Cement Garden, the story of dying family who live in a dying part of the city. It begins like this: the father of four children in an effort to make his garden easier to control decides to pave it over but in the process has a heart attack and dies, leaving the cement garden unfinished and the children to the care of their mother. Soon after, the mother too dies and the children, fearful of being separated by social services, decide to cover up their parents' death and therefore to bury their mother in what is left of the cement that was for the garden out back and so they do: they bury their mother in the cement garden. All of the children are in their adolescence and as such are free thinking, able to give their point of view though the story is told from the point of view of Jack, one of the sons, the narrator who is entering adolescence with all of its curiosity and appetites that he must contend with (along with the sure confusion of what the children have done). There is Julie who is the eldest and who is almost a grown woman; Sue who is rather bookish and observes all treat goes on around her and finally there is Tom, who is the youngest and the baby of the lot. The children seem to manage in this perverse setting rather well until Julie brings home a boyfriend who threatens their secret by asking too many questions, surely threatening the status quo (however morbid) that the children have come to accept as "normal" and as "home". We understand through McEwan that home is not to be defined by anyone else but is instead what you know and have known that makes you feel safe, even if it is rather dangerous and macabre. 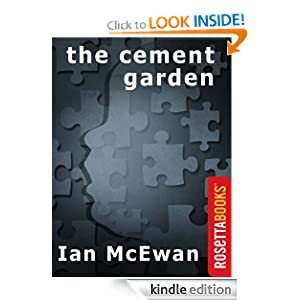 The Cement Garden or to sample this book for FREE! 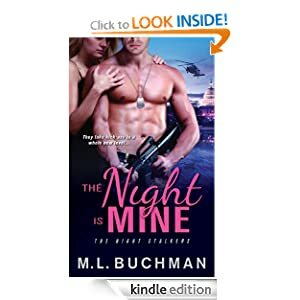 Buchman's heroine flies the most dangerous military ops and tries to find the one man who can be a hero in her own life. Ace-pilot Captain Emily Beale goes undercover as bodyguard to the First Lady, with her rugged commander, Major Mark Henderson, who is determined to cover her back. Night Is Mine or to sample this book for FREE! -- One powerful man . . .has always controlled this small Southern town. Unchallenged, until now. Like everyone else in Cane Creek, Mississippi, Chantry Callahan grew up in the shadow of town boss Bert Quinton. Quinton held the lives of local people in his harsh grasp, never letting go. He knew where all their secrets were buried, along with the bodies of anyone who had dared to defy him. As a boy, Chantry couldn't best Quinton. Couldn't protect the people he loved, including his own mother. But now Chantry is grown. He's come back for answers. And for justice. 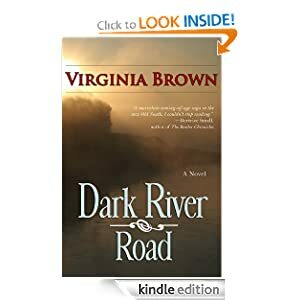 Dark River Road or to sample this book for FREE! -- A picaresque novel of the American West in 1803. An historical comedy about two bumbling botanists sent into the southern wilderness by Thomas Jefferson to look for something that isn't there. A novel in the spirit of Lewis and Clark (who make cameo appearences). Replete with wild Indians, river pirates, the kidnapped son of King Louis XVI, the lost colony of Roanoke, and much more. A non-stop romp full of life and humor and the sensibility of early America. 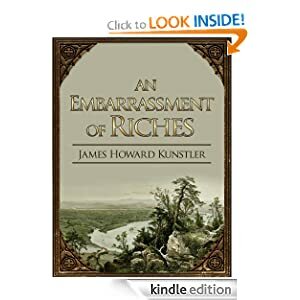 An Embarrassment of Riches or to sample this book for FREE!